Olympics Long Jump record holder Bob Beamon, Pierce Footwear founder George Pierce, and Special Olympics Manager of Sport and Health Kester Edwards fitted athletes with athletic shoes during the 2019 World Games in Abu Dhabi. The shoes were especially designed by Pierce for anyone who enjoys playing sports or walking in comfort buy may have difficulty with shoe laces. Beamon, Pierce and Kester teamed up to bring more than 7,000 athletic shoes to the world games. Athletes who visit at least four examinations stations at the Healthy Athletes venue can be fitted for a pair of shoes free of charge. 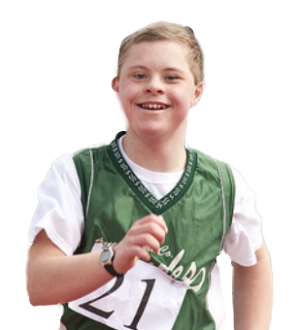 The Healthy Athletes program has provided more than 2 million free health screenings and trained more than 260,000 health professionals and students to treat people with intellectual disabilities.